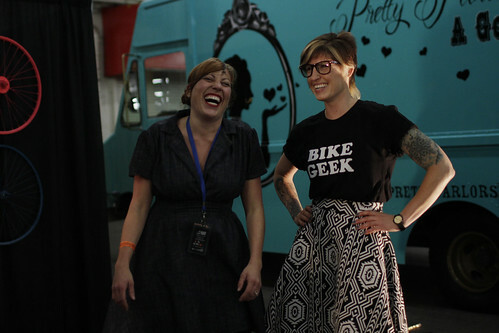 Over the next couple weeks, I'll be posting all the freshest looks presented by Pedal Savvy at the SF Bike Expo bike fashion show that just swept the West. Vélo Vogue is THE place to come design the new two-wheeled you! Stay tuned for the best looks from the streets of SF!